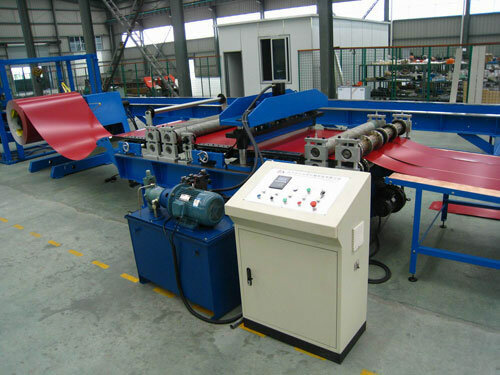 The filming and slitting machine is made up of feeding, filming, cutting and slitting. By using the high grade No.45 carbon wrought steel as shaft material, we improve the integrated mechanic feature of the shaft. Besides, we use the Cr12 mould steel as material as it has strong strength and hardness to slit the coil sheet. The main machine is nudely packed in the container and the spare parts are put in the wooden box. 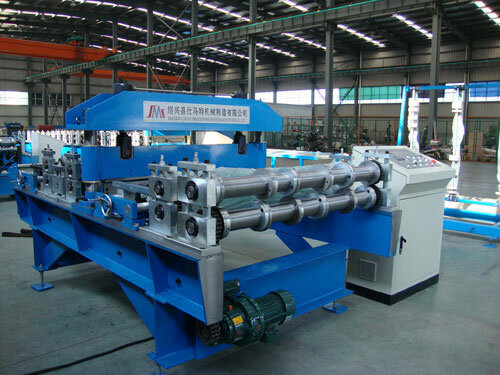 As a professional filming and slitting machine manufacturer in China, Smartech Machinery Manufacturing Co., Ltd supply deck floor forming machine, guardrail roll forming machine, purlin profile forming machine, double layer forming machine, down pipe forming machine, etc. We have obtained the authentication of ISO9001:2000 quality management system. Our products are popular in Europe, Middle East, Southeast Asia, and South Africa such as Romania, Ukraine, Surinam, India, Russia, Brazil, Portugal, Honduras, Egypt, Bangladesh, etc. If you need filming and slitting machine, please contact us freely.